Encik Tan which means "Uncle" Tan when translated from Malay language is another concept by Fei Siong Group. It's a place where you can find the usual Singaporean Food like Fried Carrot Cake, Wanton Noodle, Fish Soup, Laksa etc. Fred not, this food establishment has been prepared to serve our Muslim pals by having Halal Certification. Turnover in Encik Tan at Westmall is pretty fast and the popular order among the diners will be none other than a plate of Hainanese Curry rice loaded with generous amount of black and curry sauce on top of the rice with braised vegetables and an egg. For Curry Rice, there are a few choices. 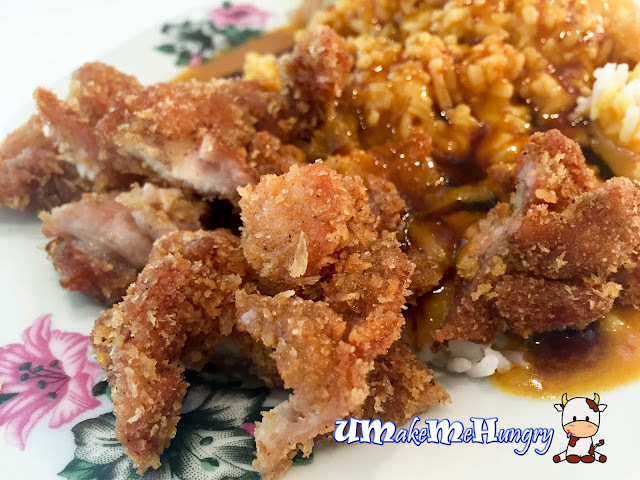 You can enjoy the rice with fried chicken cutlet, drumstick or grilled sotong. You can also make your meal a set by adding another dollar, topping up with a drink like lime juice. The crispy deep fried Chicken Cutlet will be cut into smaller pieces. Every serving comes in a heavy traditional flower plate, this makes us feel at home. The braised vegetables were very soft and sweet. 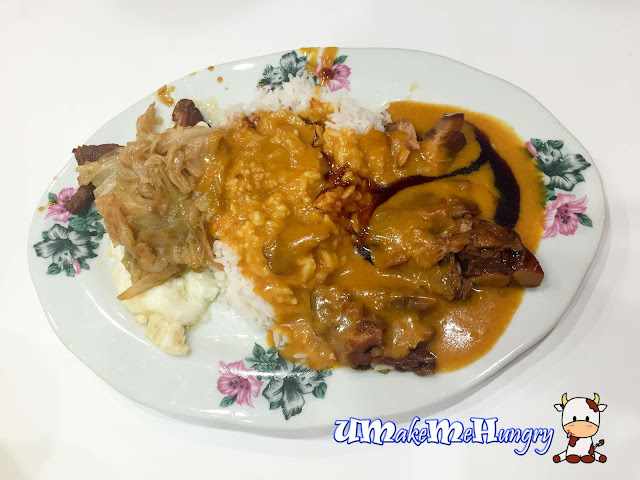 If you are someone who enjoys Hainanese curry sauce covering up the entire plate of rice, I bet you will like this! Not to worry much about the spicy level as it is quite moderate. For those who prefer drumstick, this set is not as bad too. Overall the fried chicken was fragrant and recommendable. The skin of the drumstick is not only fried perfectly to an attractive color, the crispy texture will definitely makes you want more!